Good relationships between dogs and their owners are based on good communication. Between each other, dogs communicate in a number of ways ... but their body language is one of the most important. It's only natural, then, that they'll use the same methods to communicate with people. Understanding your dog's behaviour and its body language forms an important building block for happy pet ownership. A well-adjusted and controllable dog that interacts well with people, other animals and its environment is a joy. 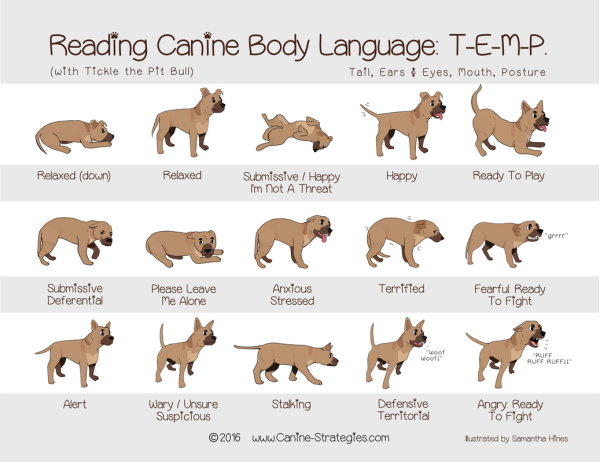 Learning about how dogs communicate through body language will help you understand your dog's needs, and will help you teach him or her how to behave appropriately. Parents often don't remember to praise their children when they behave well, yet will never forget to tell them when they do not. We tend to do the same with our pets. We ignore them when they are quiet and well behaved and pay them attention only when they behave inappropriately. It's often best to do the reverse - praise and reward desired behaviour, and ignore the unwanted. Place this hand close to the front of your dog's nose. Raise the hand above his/her nose and then backwards. Your dog's head will move to follow the treat. As soon as this is done, say "sit" and give your dog a treat. 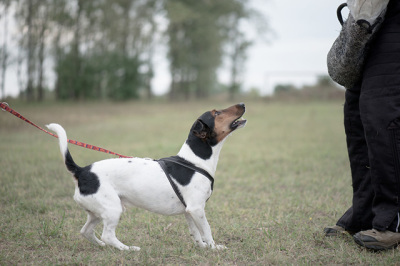 As a dog always connects what they are doing with what you are doing at the same time, they'll associate the action of sitting with the word "sit" and a reward - at this stage, the food treat. Dogs, just like humans, are social animals and need interaction with others. So withholding your attention is a very effective passive punishment. For example, if your dog jumps up at you or barks excessively, cross your arms, turn your head away and remain absolutely silent until they stop jumping or barking. Don't try to push them away, look at or talk to them. They'll interpret any of these actions on your part as attention, or even play. For success - to fully change your dog's behaviour - you must ignore, and outlast, all their efforts. Dogs do react to eye contact. Call your puppy or dog by his or her name. As soon as they look at you, you should give them a special treat. 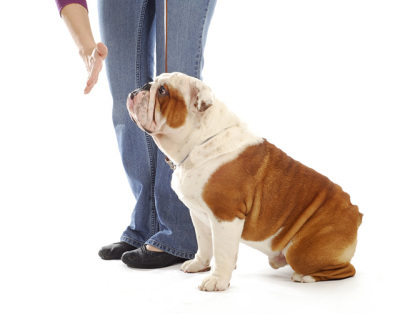 Repeating this simple exercise at any time will teach your pet that it is worthwhile to pay attention to you. 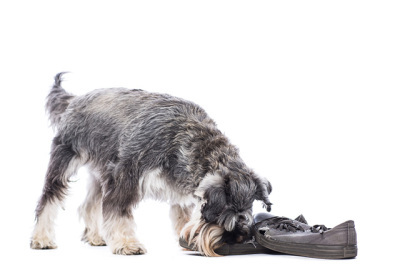 In fact, calling your pet's name is an effective way of interrupting, and thus eliminating, unwanted behaviour. If your pet grabs a hand or foot, either intentionally or accidentally, such behaviour should be interrupted either by withholding your attention (ignoring them) or by making a high-pitched "ouch" sound. As soon as they let go, offer a large toy and resume playing.